Home Page | Posts tagged "Public Domain"
Mr. Powell Explains the Evolution That Lead to Bones. Lucia Griggi took a couple of great portraits of George Powell as this book was getting started, and then I didn’t bother him again until early September. 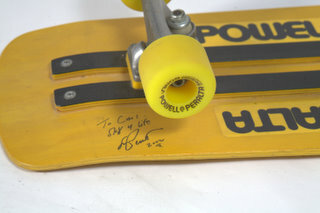 I was fiending to turn in Chapter Five of this book – which had grown to 100,000+ words – but it would not be a complete book without talking to George Powell about the rise of Powell Corporation, the Powell-Peralta partnership and the first products he produced. George Powell is an engineer and he interviews like one: Technical, knowledgeable, informative. Very good spelling and punctuation. Mostly in West Hollywood, near Santa Monica and La Cienega until I was nine, then moved to Burlingame for three years, then back to Hollywood. Were your parents/ancestors involved in engineering/manufacturing in any way? No history of technical interest from my mom, grandparents, or step dad, but my genetic father studied engineering and eventually became a contractor, building some of Ventura and Oxnard’s marina complexes. Did you surf before you skateboarded? Actually, no. I skateboarded when I was about 12 to 13 on a home made 2×4 with my metal clamp-on roller skates on it.· I still remember throwing away my skate “key.”· I bought my first surf board ( a Dave Sweet foam and fiberglass model) in about 1959. What was you first skateboard? Made it myself out of a found 2×4, some screws and my old metal wheel clamp-on roller skates.· I rode it all by myself for about a year until I wore the wheels off it and gave up. What was your evolution in skateboards, through the 60s/70s? When skateboarding became popular in the 1960s, my wife and I saved up our Blue Chip stamp books to acquire two Hobie Super Surfers, which we rode around the inner quadrangle at Stanford during the evening hours when no one was there to complain. I went to Hollywood High. What kind of engineering were you studying at Stanford? Mechanical Engineering and Product Design. 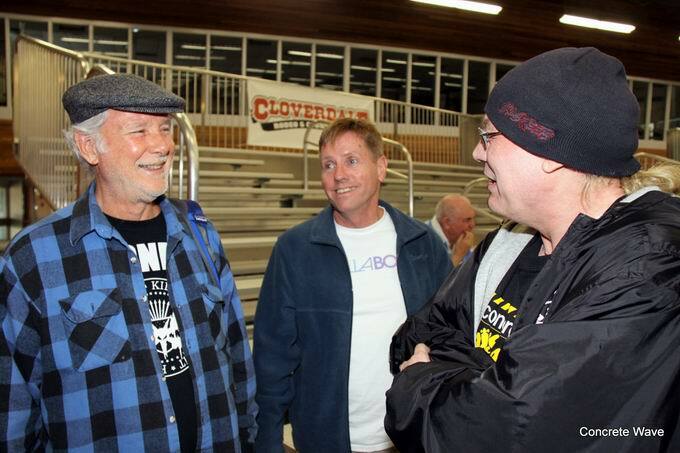 Did you compete or were you involved with skateboard organizations at all? No, I didn’t even know if any existed in the 60’s.· I thought skateboarding was perceived as a mass market product for kids at the time and there was no real industry or culture that had spread to Palo Alto as far as I knew.· I just remembered how much fun I had had on my home-made board and really wanted to try a “factory made” board. What jobs did you have after graduation and leading up to your involvement with skateboarding? After getting my masters degree in Product Design, I went to work for Hewlett Packard in Palo Alto.· Then worked for FMC, DTL which was a defense contractor.· It was here that I first used urethane in a product design.· Next I worked for a small electronic company to develop a new kind of instrument housing that could be put into an electronic rack and also be portable.· Lastly, I worked for Raychem, as an area manager (sales engineer) trying to apply Raychem’s technology to various high tech projects being worked on in the aerospace industry in LA.· I pissed off my boss and got laid off from this last job, and this was what prompted me to “go for it” by starting a company to produce the skateboards I had been playing with in my garage for about two years. Did you like working for companies, or did you yearn to have your own deal going? I have always been very entrepreneurial.· A fellow student and I started a company while we were at Stanford, making custom, artsy candle holders, lamps, lighting fixtures, and room dividers.· We bought welding torches and steel sheet, rod, and tube and had a lot of fun with that.· It was called Studio West.· That taught me many practical lessons. 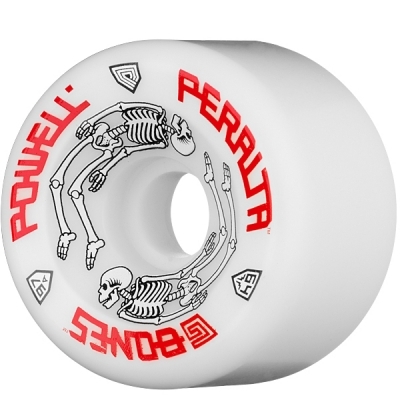 What wheels were on the market prior to Bones? It would be good to list the origins of wheels in order if that is possible: Cadillac, Stoker, Road Rider, Oj, Park Rider and then what? The main things that got me back into skateboarding in my 30’s were my son Abe – who wanted to skate – the urethane wheel – which had just come out – and the primitive nature of skate equipment in the mid 70’s, which encouraged me to see if I could do any better. Urethane wheels were an instant success everywhere they were introduced, because they gripped so well.· Every skater who saw and tried a urethane wheel, including myself, took about 10 seconds to know that they were riding a completely new vehicle, which could do things a clay-wheeled skateboard could never do.· It was one of those paradigm changers that happen only seldom in the history of any sports or technology.· An analogy might be the shift from steam power to electricity at the turn of the 20th century.· I’ve always paralleled the composition to urethane jump to the Aztecs seeing horses for the first time, or the Vikings deciding that sail power wasn’t for wussies. 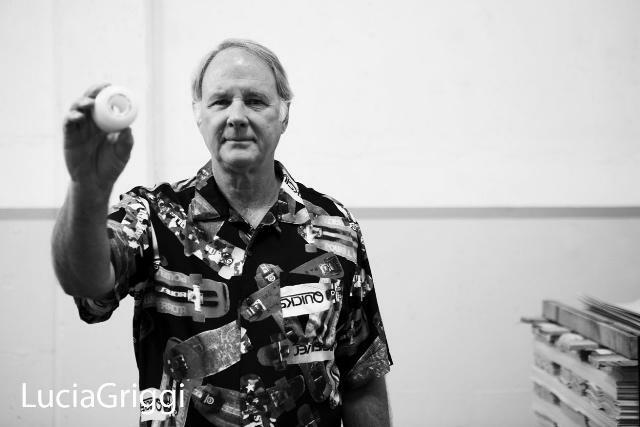 The urethane wheel was a single component, so good, that it changed the entire performance envelope of the skateboard – changed skateboarding forever – and it was the single invention that enabled our entire industry and sport to develop. In 1975, my son Abe and I were riding together in the Pacific Palisades, and I noticed, as I would return to the Palisades Hobby store for new wheels or components, that skateboarding must be exploding, because every few weeks there would be a new brand of wheels, trucks, and decks on the shelves.· I think skaters must be natural entrepreneurs, because everyone seems to want to get into the act, somewhere in the industry, I guess because we are more independent, and risk takers. Frank Nasworthy’s Cadillac wheels from Virginia were soon challenged by wheels made in west coast urethane shops, offering different shapes and colors.· Then Santa Cruz introduced a wheel which used precision bearings instead of the “loose ball bearings” we all enjoyed chasing around the floor, or searching in the grass for, as we cleaned them.· Next, Tom Sims introduced larger diameter, thin-lipped red wheels that challenged Santa Cruz’s new Road Rider wheels, and the exploding industry quickly changed to precision bearing wheels.· It was at this point in 1975 that I started to develop wheel and deck designs of my own in my garage and kitchen.· As I progressed, I took my designs and formulas to urethane processors to pour formulas I could not pour in my kitchen. By the fall of that year, I had analyzed existing wheel designs and decided that they were not optimum for skating outside, and that skate wheels should have stiff edges and large radiuses on both edges of the wheel to help them roll over cracks, twigs, and transitions.· I made a few molds, poured some wheels and tested them.· I thought they had promise, so I applied for a patent on this new design for skateboard wheels, and received a patent on the Double Radial wheel as I called them.· Skate wheels are no longer called Double Radials, but in fact they are the natural evolution of the wheels I developed in 1975. During 1975 I was also developing deck designs and experimenting with materials and shapes I thought might be better.· I met Tom Sims one day at Palisades High, as I was testing new designs, and he was doing a photo shoot for the Heinz Annual Report.· They asked Tom to skate down the parking lot flying an American flag, so you can see that skateboarding was already being recognized by corporate America as an up-and –coming, cool thing to do. Tom and I eventually agreed to jointly market a new slalom deck if I developed one better than the G&S Fiberflex.· Just about the time I finished this project, working part time on weekends and evenings, the company I was working for laid me off, freeing me up to focus full time on my new skateboard designs. Tom and I jointly marketed my first commercial deck design, the Quicksilver.· This was a very modest success, but I needed more products to keep my baby business alive.· So I took some prototypes of my double radial wheels to Tom, in the hopes that he would want to co-market my wheel design too. When I first showed Tom my first double radial wheels, he gave them to his team to test.· They said that they could not see any big difference, and they thought his Comps were just as good or better than my new wheels. This initial failure lead me search for ways to improve my wheel performance.· I had found an interesting new formulation by researching urethane company catalogs, but had found no one who could pour it yet, because of its different urethane to curative ratio, and the difficulty of mixing the two components properly. Thus, I had to use the same urethane everyone else was using for my first prototypes.· Now I set out to find a processor that could pour this very different chemistry.· I looked on the west coast, but since I was not having any luck, the CPR Upjohn sales office in LA was willing to pour me a few test sets in my double radial molds, so I could evaluate the material.· When I got them, they were translucent white, as that was this material’s natural color – instead of the clear, natural amber color of the urethane in use at the time. 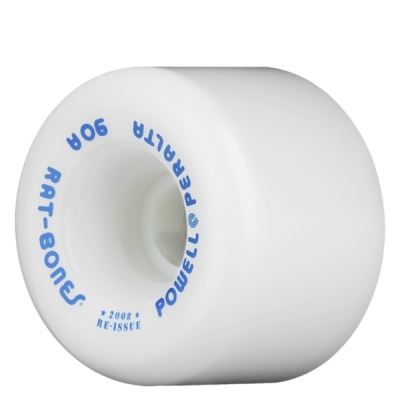 When I rode this new formulation, I was super stoked, because they were a huge improvement.· The new white, MDI chemistry was much faster and more responsive because of its higher resilience.· When I took the wheels to the Tea Bowl in Santa Barbara to have other skaters ride them, they generated a lot of excitement and I knew I was on the right track. This turned out to be not true in the end, and cost both of us a lot of time and money.· I eventually despaired after a couple of years, and started looking for another processor, that had purchased the kind of equipment I thought would process this material.· The only one available was Rogers Manufacturing, and they turned out to be located in Huntington Beach. 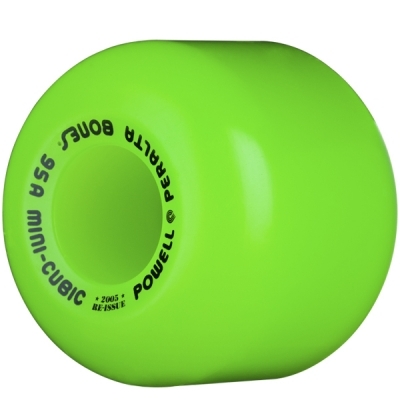 In about 1980, Roger agreed to take over my production.· From there, we finally began to gain serious market share because of our Bones’ wheel’s quality and performance.· Powerflex had actually beat me to market with a quality MDI wheel, poured by Rogers, in multiple colors, because I had wasted two years trying to get good product from Creative Urethanes, and now I had lost my lead to another company.· I was not stoked, but I had developed new formulas that were unusual, and proved to have better wear, rebound and hardness control, so I eventually regained leadership. Can you get technical for the layman about the differences between TDI and MDI. I think TDI was the chemical that caused Grubby Clark so much trouble at Clark Foam. The Orange County Hazmat people were afraid he was going to spill a load of the stuff and kill everyone in Laguna Niguel. It is the isocyanate by itself that is a major problem with TDI.· If you breathe the fumes or have it touch your skin too much, you may become “sensitized” and develop rashes, lung disease or whatever… none of it good, and so great care must be taken in processing urethanes in general, but certain types like TDIs especially.· MDI is said to be inherently less toxic, but when you make wheels, you don’t have to work with the raw isocyanate, unless you choose to, and your material is reacted with other materials into an inert state very quickly, but TDI and the MOCA it is cured with are still very controlled substances. What was different about the Bones formula. Design, manufacturing, marketing? The Bones Double Radial shape was new, superior, and patented.· Our white MDI based formulas were the first and best on the market, and far superior to the 90-95A TDI wheels competing with us.· If we had been able to produce quality wheels from the beginning, we would have succeeded in the wheel market immediately, but instead, we tempted the market with higher performance samples, but had uneven production quality for the first two years, most of which I refused to ship. The name I chose for the wheels, BONES®, was based on the natural bone white color of the MDI materials I was using, and lead to the use of skeletons and bones in our marketing.· This turned out to be popular with skaters, and added to our reputation, if not our sales.· As the years went on, we continually improved the rebound, abrasion resistance and hardness range of the wheels, always leading in urethane technology, never following. 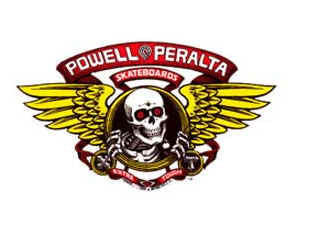 Powell-Peralta came into the market just as it was booming, but on the verge of an even faster collapse. 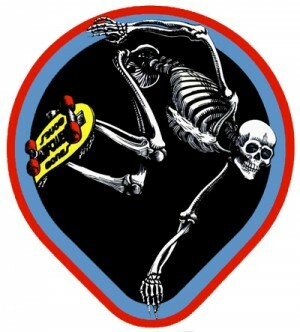 How did Powell-Peralta weather that boom and bust as the 1970s got closer to 1980? The start up of “The Powell Corporation” in 1976 was a very small, naive endeavor.· I had one product, a small factory of 1100 square feet that my family and I lived in for the first few months as we moved from the Palisades to Santa Barbara.· My brother-in-law, Vernon Courtlandt Johnson (VCJ) was my first employee other than my wife Christie, who did the books in her spare time.· Court and I built all the equipment and fixtures we needed to start producing Quicksilvers, and he ran the production shop. A good friend of mine, Michael Burridge, designed the original triple P logo, the Powell logo, Quicksilver logo, and Bones logo.· Michael also did our first ads that featured studio shots of my products and Tom Sims skating.· For marketing, I tried to sell them directly to skaters because they were more expensive than other skateboards and I didn’t think skaters would pay as much as a normal distribution mark up would add to the cost.· Ultimately, my direct sales, pyramid marketing scheme did not work, and Tom Sims encouraged me to just sell decks to his distributors and allow them to mark the boards up, telling me convincingly that they could sell 10 times as many decks this way, even at the higher price.· He was right, and we switched to what was considered normal distribution at that time and raising the price from $30 to $40. 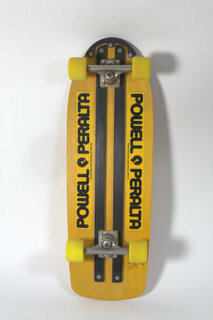 By 1977, slalom decks like the Quicksilver and G&S’s Fiberflex were at the end of their popularity.· Rigid decks that were better for skating banks, pools, and ditches were the best sellers, so I developed Quicktail, a thicker version of the Quicksilver with a small kicktail. I formed a small team of skaters to promote my decks and Bones Wheels, with Ray Rodriguez as my top skater.· Ray became so associated with Bones wheels that he is still known to this day as Ray “Bones” Rodriguez. Okay that answers that mystery. I thought Bones were named for Ray Rodriguez. Thanks. In 1978, Stacy Peralta left G&S and eventually joined me to create a completely new team and to help me build the company. Stacy’s efforts were so successful in attracting the best young skaters of the day that he soon had all the up and coming young guns riding for us.· When I realized how helpful and important Stacy was in marketing and promoting our products, I agreed to begin marketing all our products under a new name, Powell•Peralta. Stacy also convinced me that decks with flex were going out and suggested we switch to laminated wooden decks, so I started working to optimize a new wooden construction and developed crazy, fluorescent-dyed decks with a combination of hard and soft maple I called Brite-Lites.· Stacy also recommended a deck laminator in Michigan that he had met, and who had developed a new construction we ended up marketing as the Beamer.· This was the only deck we did not develop ourselves, and while it had important advantages and was very popular, it was very difficult to produce and eventually developed an additional Achilles Heel: When pool coping grinds became popular in the late 70’s, the grinds would soon wear through the fiberglass reinforcing beams and then the deck became a 3/8” thick 5 ply…which was no longer strong enough. About this time skateboarding just died, and everyone was having problems shrinking fast enough to stay alive.· As Stacy points out, skateboarding collapsed in mid-1979, and just got worse and worse until the fall of 1983.· In reality, the fact that we were small, and doing less than two million dollars per year by the end of the 70’s probably made it easier for us to survive, than if we had been as big as Sims or G&S at that time. We were forced to go from small and growing to smaller and clinging on by our fingernails.· I am often doggedly determined, and in this case it proved a valuable trait.· I had committed to skateboarding, and loved it.· I just couldn’t imagine not being in the skateboard business, so my family and I just toughed it out.· We missed many payrolls, defaulted on bank loans, relied on family loans and personal savings to make the rent.· Stacy left to work in Hollywood, so he could make a decent salary, and ran the team virtually for free.· During those years our sales dropped 50% to about one million per year, and getting everything done to keep our company going was sort of a magic act…or at least sleight of hand. TDI formulas to Bones MDI wheels.· Roller skaters discovered our superior skateboard wheels and wanted to use them – just like skateboarders had borrowed TDI wheels from roller skaters ten years earlier.· Ever since, we have maintained a good relationship with roller skaters, through our urethane formulas.· It was this relationship that probably saved our company from 79 to 83, when skateboarding was experiencing its Dark Ages, and there were only enough skaters to ‘sort of’ support five companies. Well I consider the late 1970s/early 1980s the Second Dark Ages. The first was the late 1960s, up until urethane. Then, just when we thought things were never going to improve and we were pondering how to continue on, the market suddenly began to improve dramatically, at back to school time in 1983.· A whole new generation of skateboarders “discovered” skateboarding, and we were off again.· Suddenly, we went from making perhaps 500 boards per month to as many as we could possibly produce for the next four years, never meeting demand.· This was when we brought laminating into our production area so we could better control the quality of our decks, and increase production. We never really caught up with deck production until about the time of the Animal Chin video in 1987. Since we were subcontracting our wheels at that time, however, we were able to meet our wheel orders for Bones wheels, and this helped us to grow. A couple of years later, we purchased Rogers Manufacturing, and integrated the complete wheel process into our production facility in Santa Barbara, where it still exists today. You went from zero in 1975 to $2 million in sales in a few short years, which is not bad. At what point did you realize that skateboarding could be a significant business? Boy, when I first started my little company I figured I would be successful financially very soon, like all young inventors and entrepreneurs.· But after struggling for four years, until the industry crashed, and never making a penny more than grocery money, I began to think I might never succeed in creating a viable skateboard company.· After another four years, the industry rebounded, and things started to look up a little.· We were able to repay our loans and start to grow.· So the first eight years were a bust financially.· The next 10 were a wild crazy ride that probably only happens once in a lifetime if you are lucky.· Stacy and I thought we were going to become reasonably wealthy, own homes, cars, send our kids to good schools, all that stuff, and we had a lot of fun.· Then in 1993, we crashed and burned completely, losing all our gains. Can you give a verbal graph of how your sales increased? We went from making 50 decks and 0 wheels per month in 1976 to 1,000 decks and perhaps 10,000 wheels per month in 1979, and then back down to about 500 decks and 2000 wheels per month during the first few years of the 1980s. How many buildings did you lease/buy from 1975 and how many employees did you have at your peak? We had only one building at a time, but moved three times, each time to a slightly larger building.· The maximum number of· employees during this period was about 20. Do you have any regrets from this first five years, or were you smart and lucky and all good things. I was dumb, and incredibly lucky during the first eight years, just to survive.· It was an intense learning period with no financial reward, only loss.